We can host your holiday party—or we can create a spectacular celebration of your company, it’s culture, and it’s people. Whether celebrating the holidays, rewarding your employees, or marking a major business achievement, Pleasantdale Chateau can assist you in providing an experience that will wow your guests, impress your clients, and earn the appreciation of all your employees. Events on our estate help reinforce a brand and its ethos while motivating staff to fulfill the aspirations of the business. In our long history of creating successful corporate parties for our clientele, we’ve seen the responsiveness and appreciation of guests who can tell that their company has gone above and beyond to make a memorable celebration. 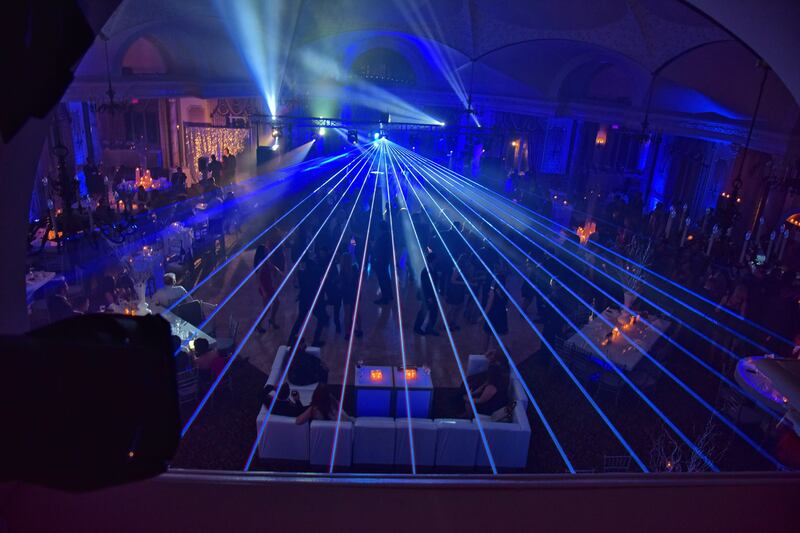 From relaxed corporate dinner dances to all-out parties and extravaganzas, we’ve help organize impactful experiences that are on message with the company and reinforce the spirit of its people. Contact us to see how we can help make your next celebration unique. If you are considering a holiday function, please inquire as early as possible, as end-of-year dates are in particularly high demand. From fire, to ice, to snow, Pleasantdale Chateau can heat your party up or make it the coolest corporate event you’ve ever hosted.